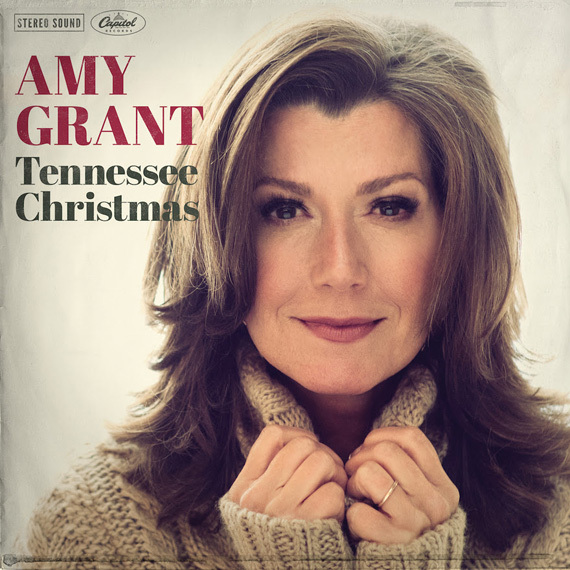 LifeWay Christian Stores is not carrying six-Time GRAMMY® winner Amy Grant‘s new Christmas album, Tennessee Christmas, due to its songs not including enough faith-based content, MusicRow has confirmed. This is Grant’s first all-new Christmas album in nearly 20 years and was released last Friday, Oct. 21. A collection of 13 new recordings, including the title track, Tennessee Christmas offers a blend of heartfelt originals and Grant’s own spin on popular Yuletide classics. Recorded in her home studio in Nashville, Grant collaborated with producers Mac McAnally (Jimmy Buffett, Martina McBride), Marshall Altman (Marc Broussard, Frankie Ballard) and Ed Cash (Chris Tomlin, David Crowder Band). With over six million Christmas records sold, all of Grant’s prior holiday projects have been honored with RIAA platinum or gold certification. MusicRow confirmed the new release was not being carried by LifeWay Christian Stores; however, a spokesman for the company would not elaborate on specifics regarding the decision. No statement from Grant’s label, Capitol Christian Music Group, has been received. This is not the only product to lose shelf space at LifeWay Christian Stores this week. Yesterday, LifeWay Stores confirmed to Christianity Today it had stopped selling popular evangelical author Jen Hatmaker‘s books over her LGBT beliefs. The Southern Baptist chain said Hatmaker’s statements “contradict LifeWay’s doctrinal guidelines,” so it has discontinued selling her books in its 185 stores or online.